Office Hours: Mondays, 8:30 – 11:00 a.m. & Wednesdays, 11:00 a.m.-1:30 p.m.
¡Bienvenidos! I am originally from Puerto Rico. I received my B.S. Degree in Business Administration with a major in Organizational Studies from the University of Puerto Rico. I went on to earn a M.A. Degree in Romance Languages with a concentration in Spanish Literature from The University of Memphis. I have been a part-time faculty member at Bellevue College since the summer of 2002. Prior to that, I worked as a full-time Instructor of Spanish, undergraduate advisor in Spanish and a member of the Annual Language Fair at The University of Memphis. I have over nineteen years of teaching experience and this includes several schools and community colleges. 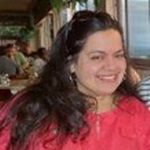 I have taught beginning, intermediate level, Honors Spanish, and composition Spanish courses including Medical Spanish. I also facilitate a weekly Spanish Table to encourage conversational Spanish. My primary purpose as a Spanish Instructor is to have students interact with me in Spanish. I believe this is the key to effective language instruction. I expose students to a variety of activities that will help them achieve competency in Spanish through the five language skills i.e. reading, writing, speaking, listening and culture awareness. I teach them to be open-minded to different cultures. Ultimately, I aim to enable students to express themselves in the target language taught in a safe and relaxed environment.